Black Hard Rubber Tires Bonded to a Cast Iron Wheel for Heavy Duty Applications. 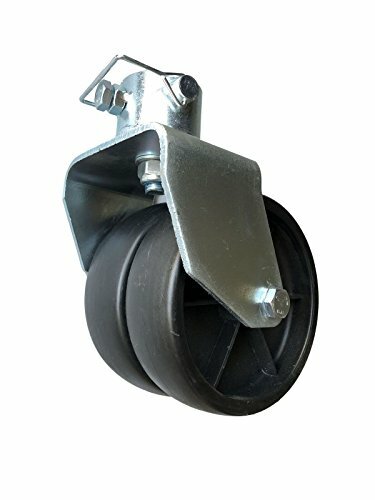 Double Ball Bearing Swivel Base Design. Capacity 2,500 Pounds. Hole with Pin Diameter: 2-1/4"
If you have any questions about this product by EZ Travel Collection, contact us by completing and submitting the form below. If you are looking for a specif part number, please include it with your message.